Unemployment Update: Construction Sector Posts September Gains; Should ARRA Get Any Credit? The North Carolina Employment Security Commission (“ECS”) released its September unemployment report last Friday, and according to the report, the construction sector in the State posted a net gain of 2800 jobs since the end of August. Overall, however, the State’s unemployment rate ticked up .1% to 10.5%, led by significant government sector losses. ECS’s report indicates that in the last twelve (12) months, construction sector employment is down modestly — 400 net jobs. That suggests to me that the construction labor market has stabilized somewhat from the steep declines seen during the two-year period from October ’08 – October ’10. 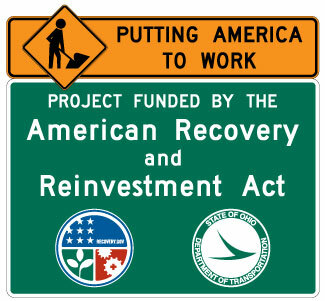 Is the American Reinvestment and Recovery Act (“ARRA”), better known as the federal stimulus bill, helping to bolster construction employment in North Carolina? Anecdotally, and as the N&O reports here, federal infrastructure spending is having positive ripple effects in connection with a $14.3 million road-and-bridge project in Johnston County. Still, and as the N&O’s story suggests, whether ARRA was actually worth the outlay is a question unlikely to be answered until the first Tuesday of November, 2012.